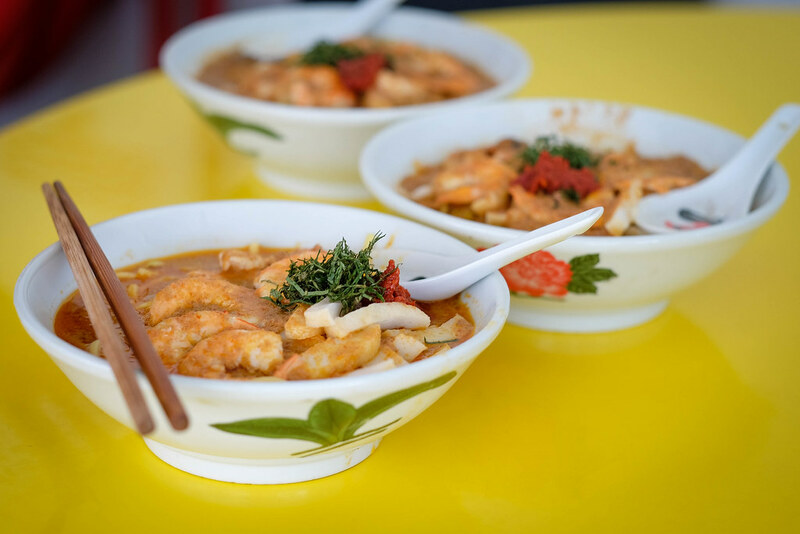 Madam Liew Kiaw Hoon often prepares her signature Nyonya laksa for family gatherings and her children’s company events. 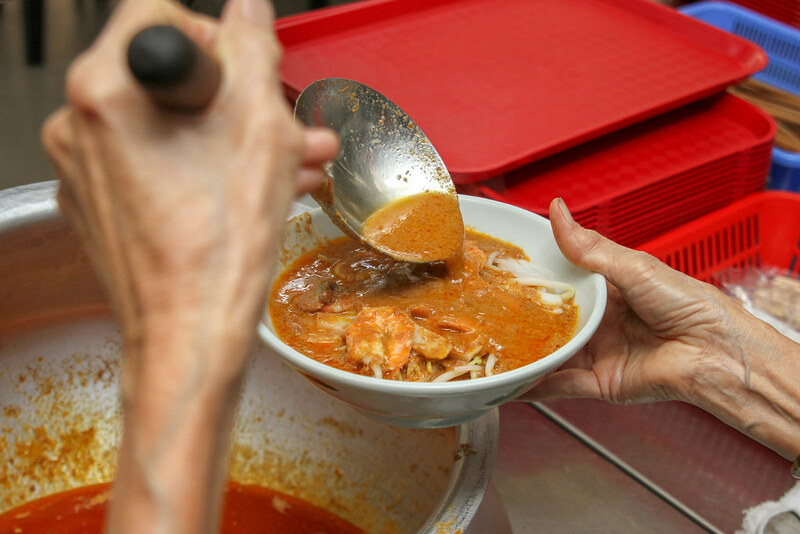 Family and friends often praised Madam Liew’s laksa for being absolutely delicious. 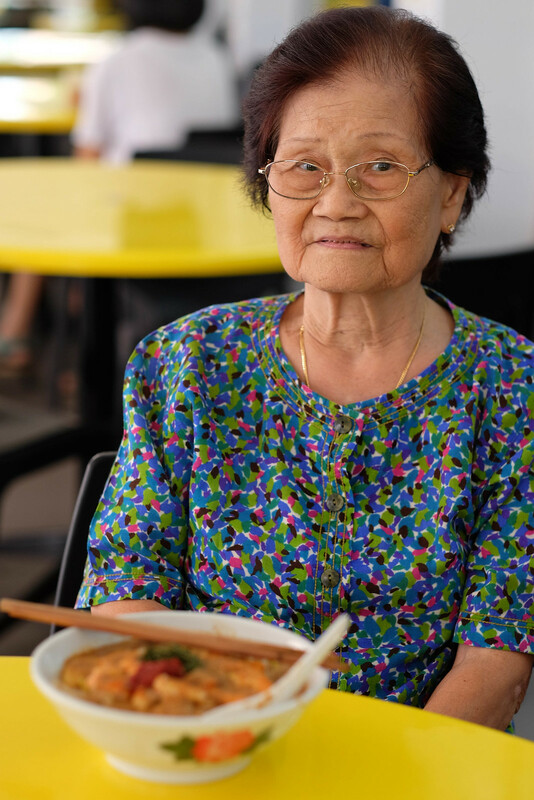 They have told her that ‘It’s so good, you should open up a stall!’ With the support from a huge fan base, Madam Liew’s son started Madam Liew’s Recipes at Siglap Road, aiming to showcase his mom’s house recipes and honouring her legacy as a great home cook. Back in the kampung days, Madam Liew’s husband ran a provision shop in the Siglap area. Their neighbours would frequently gather at the provision shop to socialise and chit-chat. It was there that Madam Liew met a Teochew Nyonya lady who shared the Nyonya laksa recipe with Madam Liew. 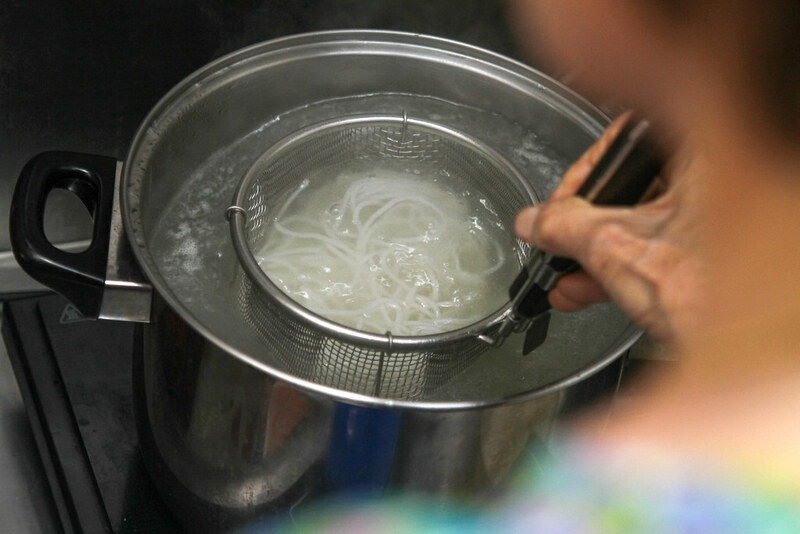 Over the years, Madam Liew enhanced and adjusted the recipe. 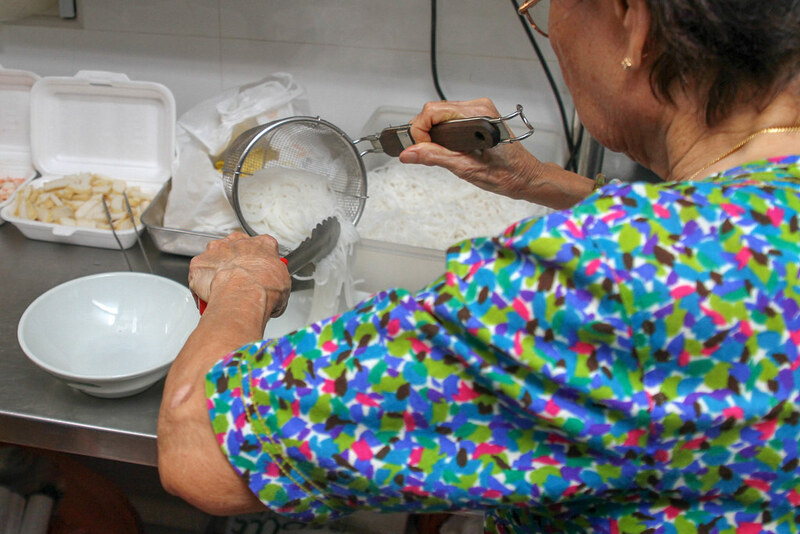 Besides being a good home cook, the 87-year-old also has prior culinary experience — she used to run a fishball stall on the sixth floor of Lucky Plaza. With decades of home cooking experience under her belt, Madam Liew dishes out a formidable Nyonya laksa which is a must-try! The Nyonya Laksa ($4.80) comes with the standard fishcake, cockles, prawns, bean sprouts, and laksa leaf. 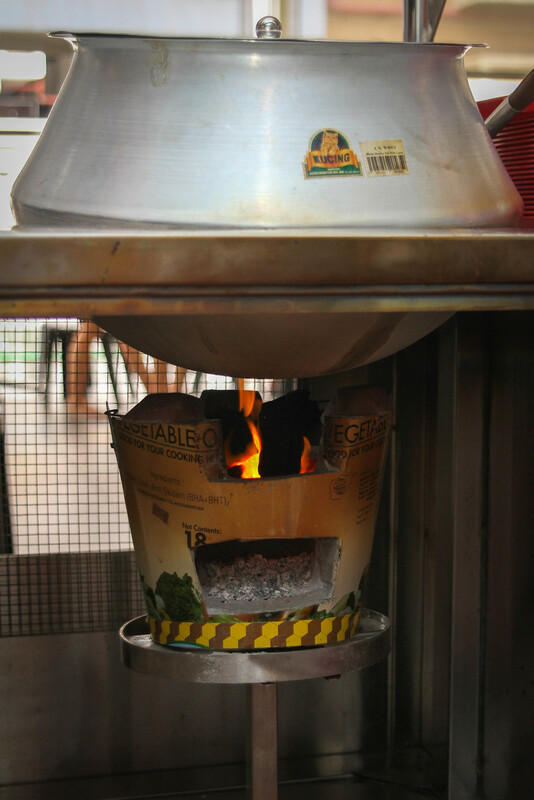 It is rare to find laksa gravy cooked over charcoal fire these days, but at Madam Liew’s, it is still being done! The star of the Nyonya laksa has got to be the handmade rempah — it has ten secret spices in it and each time, 10kg of rempah is prepared at one go! At first glance, the portion seemed rather generous. The laksa gravy was also clearly a lot thicker than usual. It looked deceivingly spicy with its bright fiery red hue, but rest assured, the spice level is definitely manageable even for beginners. For those who need an extra spicy kick, just mix the sambal chilli on the side into the laksa gravy. Unlike the usual laksa where coconut milk plays a vital role in the taste of the gravy, the flavour of the nyonya laksa here is derived from the different spices used instead. Due to its thicker consistency, the laksa gravy coagulates quite fast when left out in the open, so eat it while it’s piping hot! 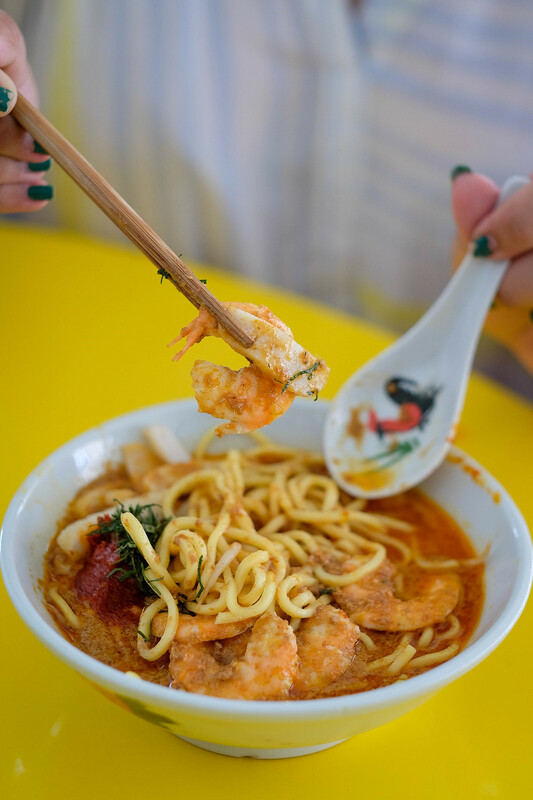 Apart from serving up Nyonya laksa, Madam Liew’s Recipes also does laksa goreng, or dry laksa, on the weekends. Madam Liew’s son informed us that they have plans to expand the menu in the near future to include other signature dishes such as popiah and mee siam from his mother’s kitchen. Opening a brick and mortar F&B business is never easy, and we definitely admire the family’s dedication to honouring and preserving Madam Liew’s legacy. If you are in the East, why not give Madam Liew’s Recipes a try? Let’s build a food community that helps to update the food news in Singapore! Simply comment below if there’s any changes or additional info to Madam Liew’s Recipes. We will verify and update from our side. Thanks in advance! For more food videos, check out our official YouTube channel! You may also wish to check out our article on Mother Dough, a halal artisanal bakery in Bugis! 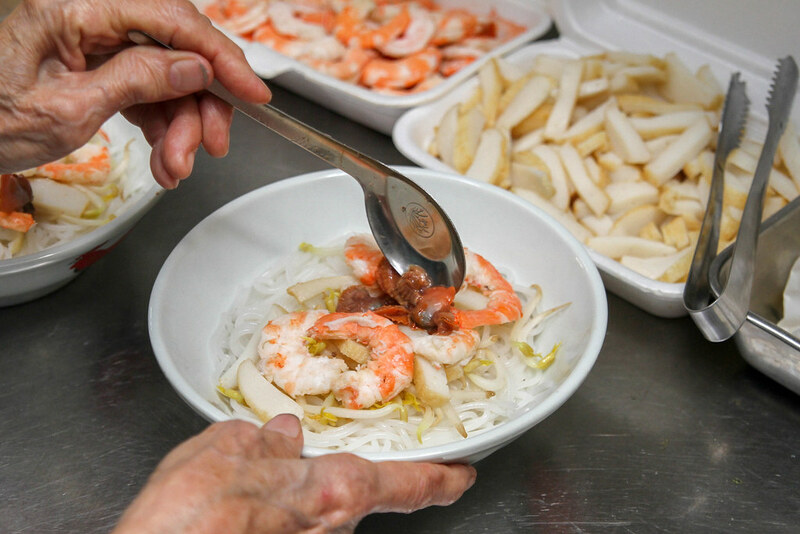 The post Madam Liew’s Recipe – Preserving Mom’s Legacy with Authentic Nyonya Laksa appeared first on Miss Tam Chiak.